Change and the unknown can be difficult for some people. Imagine if for your whole life you ate cereal for breakfast, a sandwich for lunch, crackers for a snack and pasta for dinner most days. Then with the knowledge you have about how gluten affects your body, you wonder what you can replace those familiar meals with? When you replace a habit with something else, it’s important that the ‘new’ thing isn’t as equally damaging for you. So, it crucial therefore to know what foods to avoid when you are replacing foods containing gluten. Below are the top 5 most common foods to avoid when going gluten free – it could be the best thing you do for your health! When people choose to go gluten-free, corn tends to be a natural GF replacement. In my opinion, this is one of the worst foods to consume as if the corn is not organic, then it is likely to be the genetically modified version. Corn is in most packaged foods in the form of corn meal, corn starch, fructose corn syrup, glucose, dextrin, maltodextrin and dextrose. Although these ingredients are ‘gluten free’, they still can cause huge reactions and inflammation in the human body. Some of my clients find they react worse to corn then they do gluten, others find the reaction quite similar. Traditionally, soy is fermented as this makes it digestible. The soy you find in processed foods is firstly not fermented, and secondly it is mostly genetically modified. Soy products that are fermented are tempeh, miso and natto. 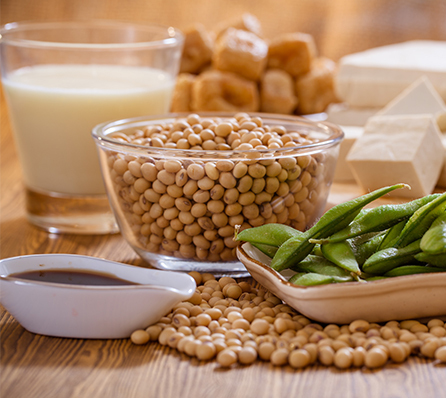 To read more about how soy can disrupt your hormones, go to the blog here and here for the Health eReport – Soy – The Hormone Disruptor. Starchy vegetables can be eaten in moderation and these include sweet potato, white potato, beetroot, carrots and pumpkin. However, many individuals begin adding them to every meal as a replacement to pasta. Before they know it, they are putting on weight and become bloated as they are choosing to ‘fill’ themselves up on starchy vegetables instead of choosing green vegetables first. So ensure you add green vegetables and salads onto your plate before you add your starchy vegetables. 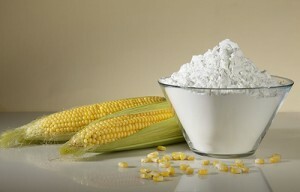 These flours include corn starch, arrowroot and tapioca. They are best enjoyed in moderation only. They are fabulous for creating gluten free flour alternatives, as they mimic the baking opportunities that gluten has. 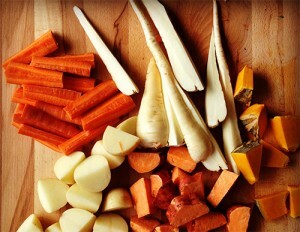 However, they are very high in starch and therefore can create digestive issues if you consume a large amount of them. There are a number of ‘gluten free’ foods being manufactured at the moment to replicate the original gluten filled foods. However these products are normally filled with chemical additives, colours and preservatives that do more harm than good. So always read the ingredients list. As a general rule when looking at an ingredient list, avoid all packaged foods that contain numbers, anything you cannot pronounce or that doesn’t sound like a food. Typical ingredients to avoid include the ones already mentioned, as well as maltodextrin, gums, preservatives, flavours, colours, and corn starch. Rather than buy ‘modern gluten free foods’, create your own gluten free meals from scratch from real, individual ingredients like organic vegetables, salad greens, meats, nuts and seeds. If you’re looking for more ideas of what to stock in your gluten free pantry read more here. Well done for going gluten free and choosing to cook with real healthy ingredients, rather than processed ‘gluten free’ food. Your health is worth it.